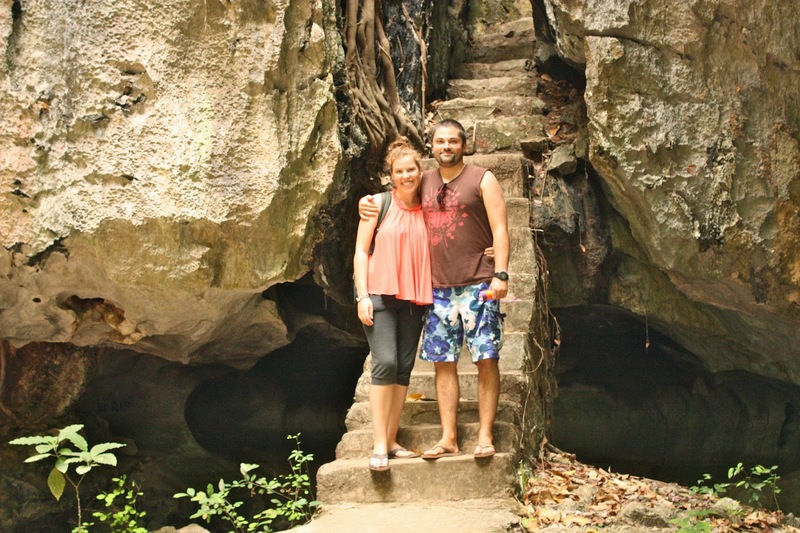 After the craziness of Sihanoukville, we were excited to get to Kep as we had heard great things about it. 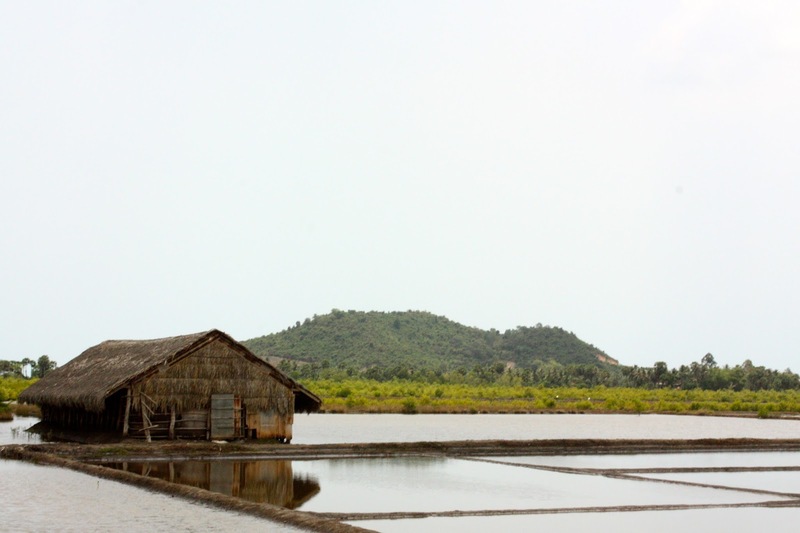 Kep is a small seaside town near the Vietnam border. 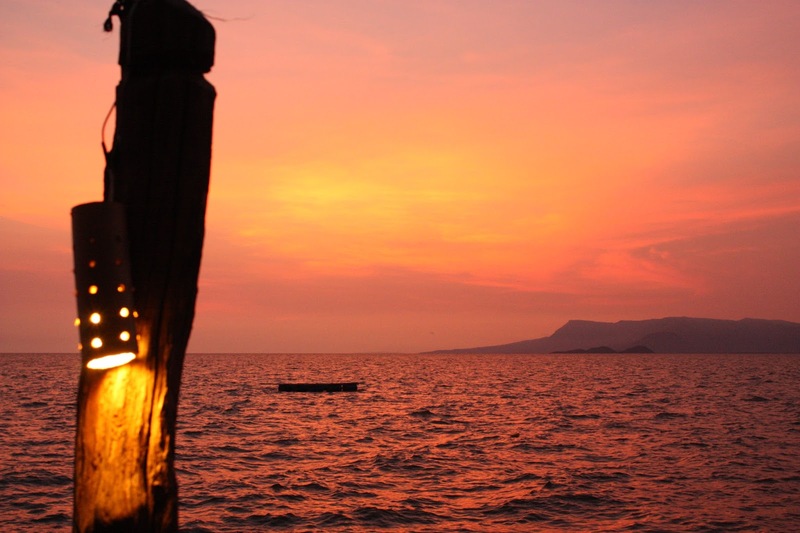 The great thing about Kep is that it’s very popular among Cambodians as a holiday spot. 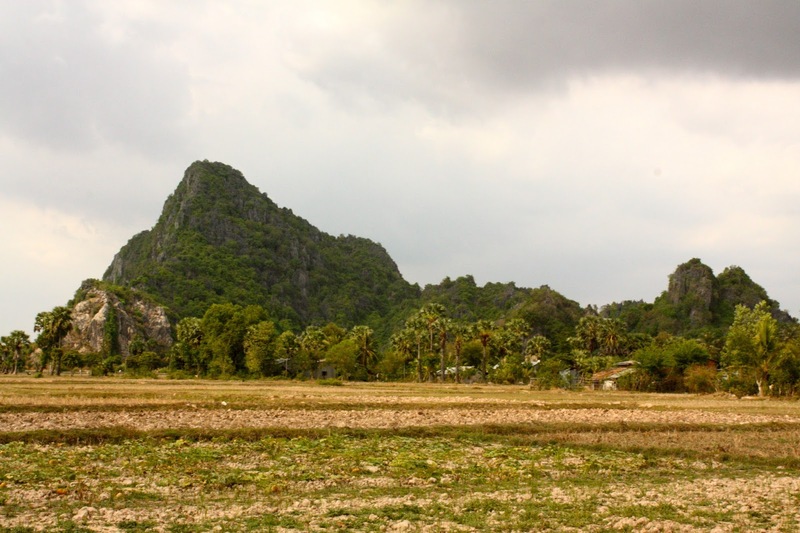 The minute we arrived we knew that we’d like Kep a lot. It is very quiet and spread out, but we were staying in a brand new guesthouse across from the beach. The beach itself wasn’t great but the atmosphere and food definitely made up for it. 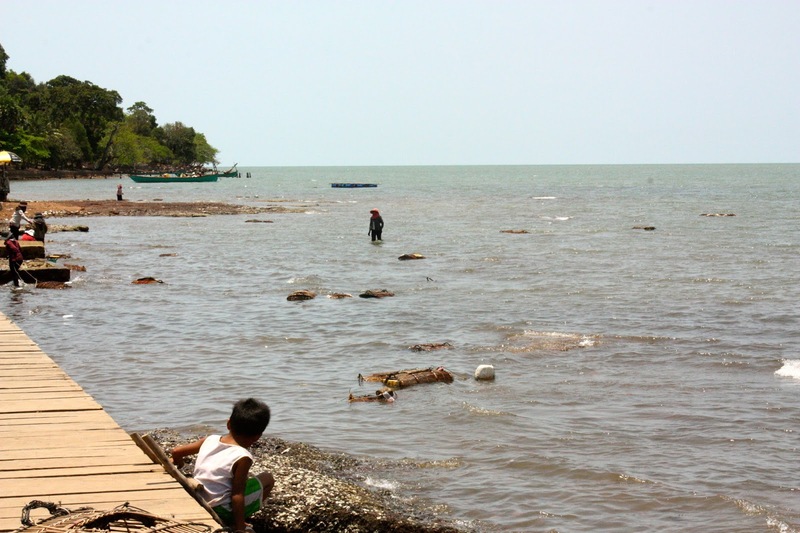 Kep is also a very famous destination in Cambodia for crabs (the food kind). So we spent our whole time there eating delicious crabs! 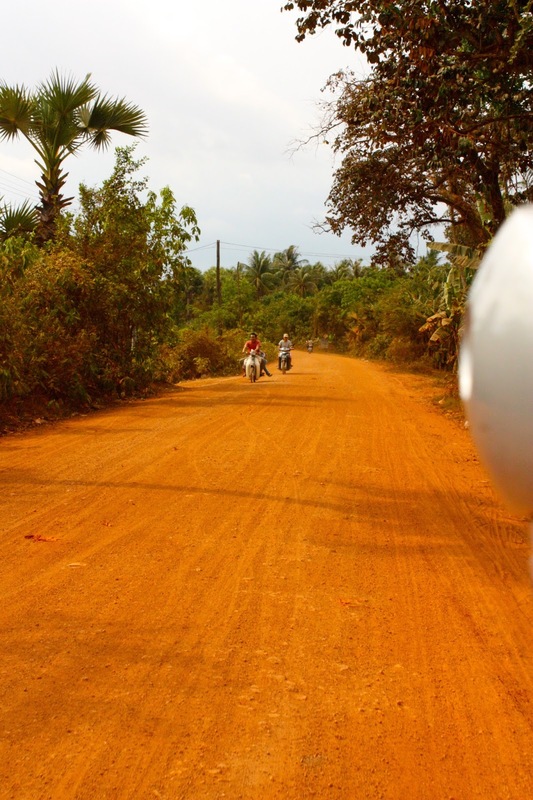 On our first day we decided to rent a motorbike (our first in South East Asia). 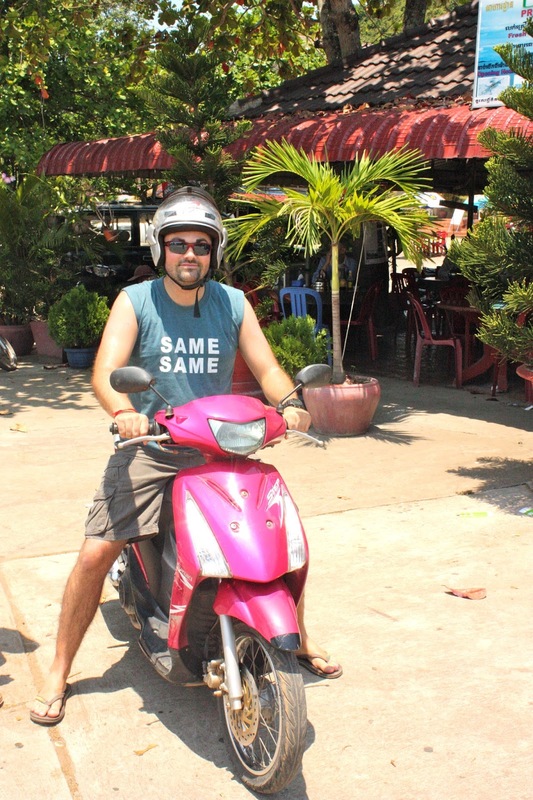 The best moped that we could find at a decent price was a beautiful shade of pink, Jason looked very manly driving it. That day we drove to an incredible seafood market where we got to see all of the crab cages in the water. 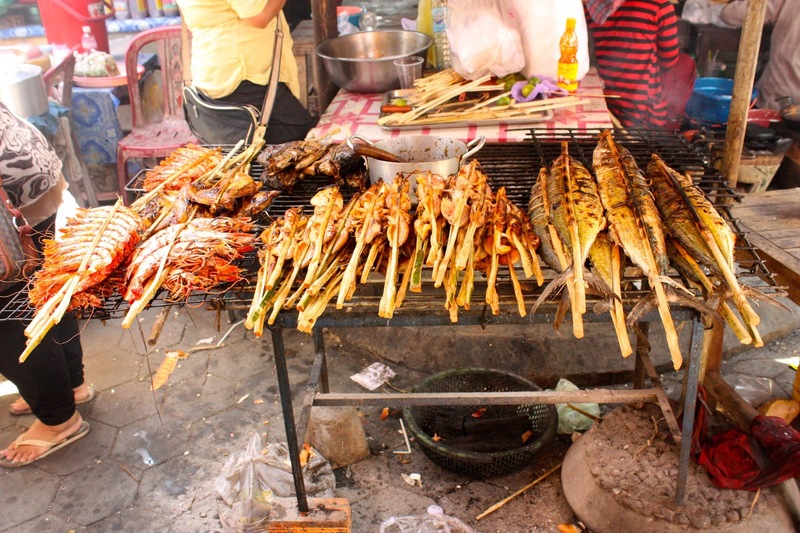 The market was so busy and vibrant and there was fresh seafood being cooked all around. 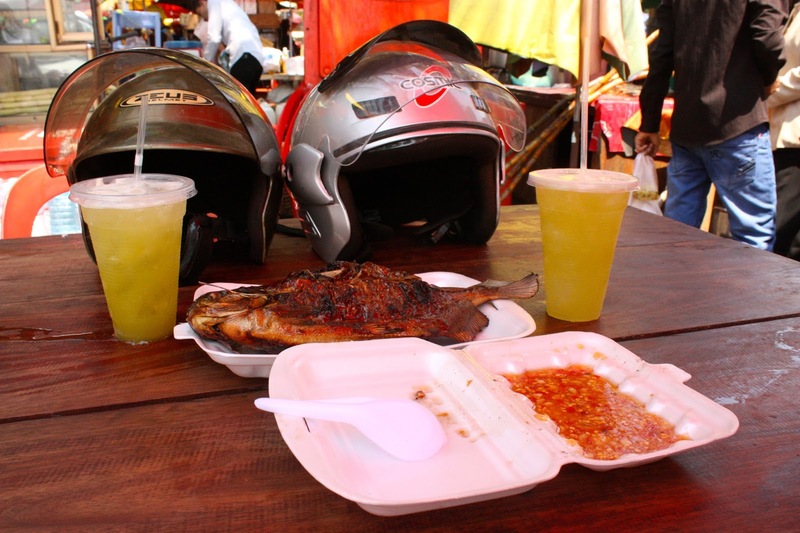 We couldn’t give up the chance to have some fresh barbecued seafood so we shared an amazing fish and got some palm juice. The process of making the palm juice is quite tough, in fact every palm juice seller has huge muscles in their arms from it. Palm juice is extracted from a bamboo style plant. They must squeeze it through a machine to get the juice out from the leaves. It actually tastes quite good too. After our delicious lunch, we decided to try and find a pool to cool down in (April is the hottest month in Asia) and find a pool we did. We had a nice day lazing around by the pool and just relaxing. That evening we returned to the market place and went to one of the many restaurants that are perched on the sea there. It was so nice sitting eating delicious crabs while watching the most incredible sunset I’ve ever seen. It was one of those moments that I’ll probably remember forever! 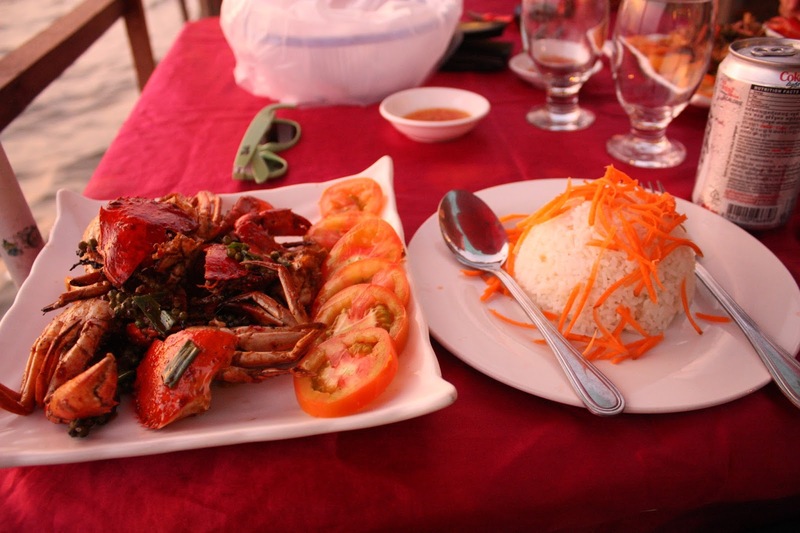 Amazing crabs in pepper sauce. The next day we decided to drive around the surrounding countryside. We decided that we wanted to see the salt fields and caves nearby. 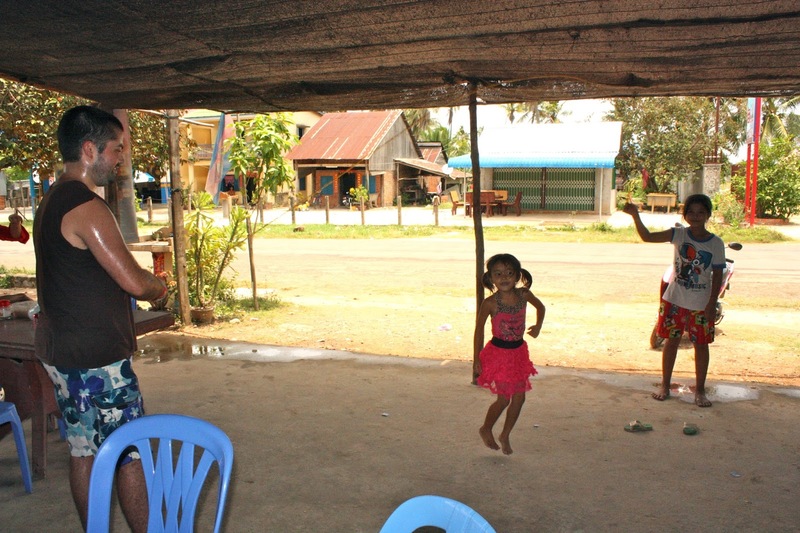 That was probably my single most favorite day in Cambodia. we got lost and at one stage ended up at the Vietnamese border! We stopped in local restaurants and got to meet the locals. We reached a big town near the border and got lunch in a local place. It cost $2.50 between the two of us. With the clouds and storm moving in we found one of the caves that we had wanted to visit. We spent a little time there with our “tour guide” who was a lovely high school student practicing his English. We couldn’t stay too long because we had wanted to get back to Kep before the storm hit. Unfortunately on our way back we had realized that our back wheel had a puncture. Driving slowly we managed to spot a little wooden place at the side of the road where people seemed to be fixing motorbikes. We pulled over and sure enough it was a repair shop. We had to wait a while as they were fixing other bikes first but the second that we sat down in the shop torrential rain just bucketed down. Luckily by the time that the repair was fixed the rain had stopped and we were on our way back to Kep. We thought that because we had gotten lost that we didn’t manage to find the salt fields but the next day while I was looking through my photos, the owner of the guesthouse was looking at them too and commented on the fact that we had seen the salt fields. 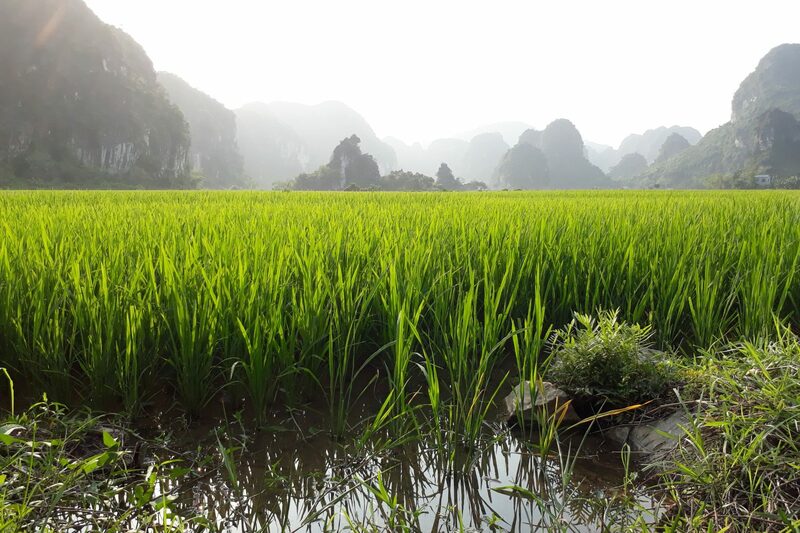 We had thought all along that they were rice fields, but apparently not! We realized that maybe we weren’t as lost as we thought we were. The salt fields that we thought were rice paddies. 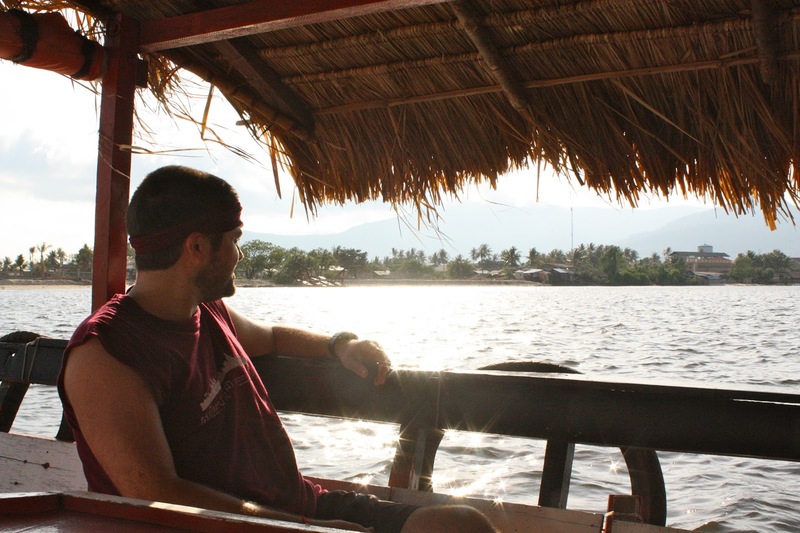 The next day we said goodbye to the lovely Kep and said hello to the riverside town of Kampot. 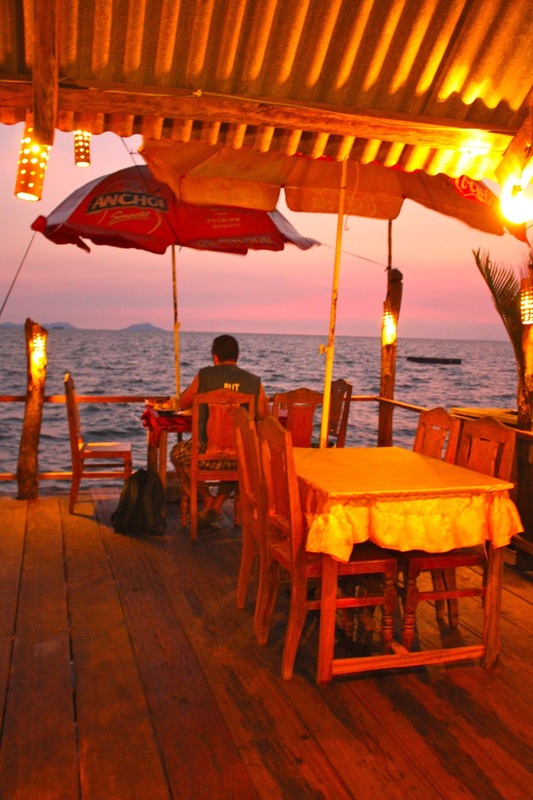 Kampot is only about 40 minutes away from Kep but is quite different. It is a lovely town where most of the action seems to happen along the river banks. 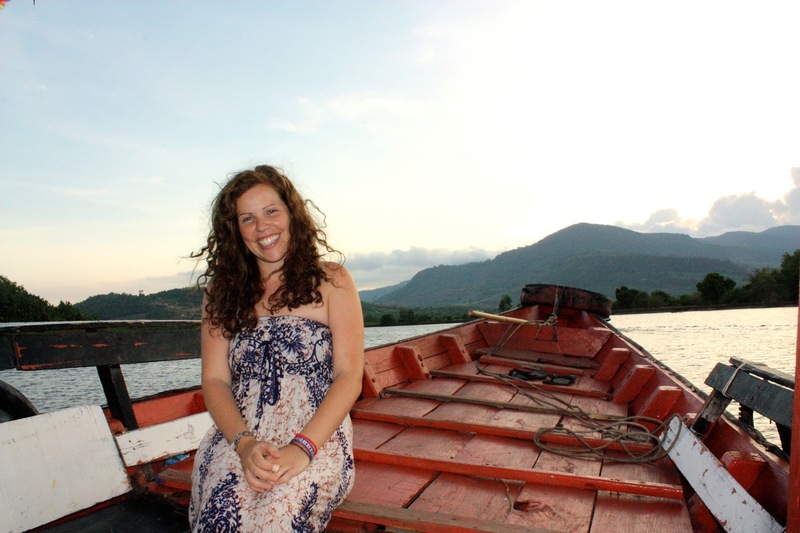 There isn’t a whole lot to do in Kampot, which suited us just fine. We spent our days sleeping, eating and laughing. Jasons friend Bryan (who lives in Phnom Penh) had recommended a British pub (The Rusty Keyhole) for us to order some ribs from, they are apparently “the best in Cambodia”. I have to admit they were amazing!! We met an old Australian man who was very set in his ways and really didn’t like the fact that his Prime Minister was a woman and Americas was black, he also didn’t like muslims. It was hard but I bit my tongue (hard!) We also met a lovely English girl that lived in Hong Kong for a while and now lives in Cambodia working for a charity that helps the elephants in Cambodia. It was great hearing about the work that she does, it makes you want to better yourself! 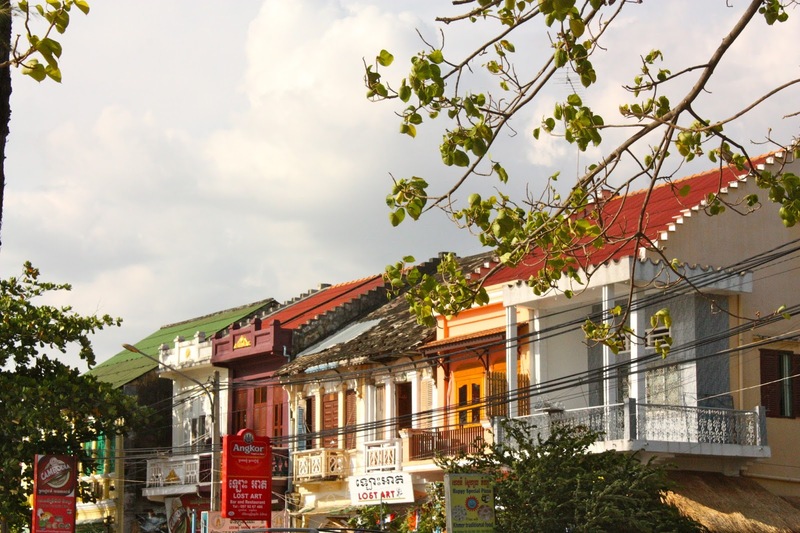 The beautiful colonial buildings of Kampot. Unfortunately, when we went back to our room that night we had the devastating news that Jasons wonderful Grandma Jean passed away. It was so hard for Jason being away from his family but luckily we had had a chance to talk to her when we were in Bangkok and she was so excited for him and his travels. It was something that she had always wanted to do but never had the chance. We discussed Jason flying home to be with his family but she had insisted to everyone before she passed that he didn’t come home. She said that now she would be able to be with us while we travelled. Because of this Jason decided to continue traveling and try to have the best time possible, I think that’s exactly what she would have wanted. I feel very lucky that I had the chance to meet her and get to know her a little before she passed. I can say with all honesty that she is one of the most inspiring people I’ve ever met. Not one person in her life can remember her saying a bad word about anyone…what a wonderful way to live! She makes me want to live my life in a more positive way. She was also a beautiful writer and artist. I was shocked by how beautiful her paintings that she showed me were. This has been a hard time for Jason but I can honestly say that his Grandma Jean would be proud of him. 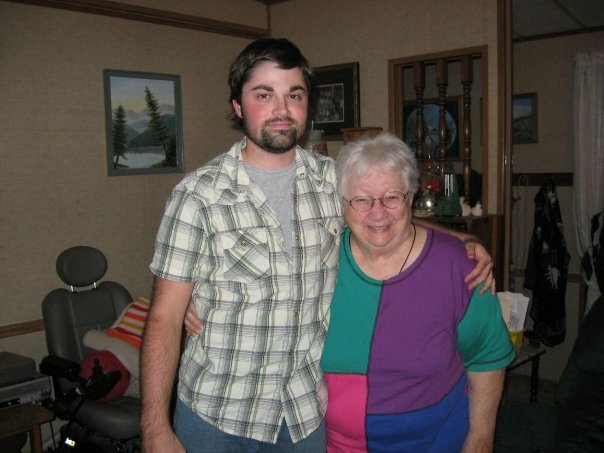 Jason and his Grandma Jean.